I was immediately attracted to this book tour, because Barbara Kingsolver's The Poisonwood Bible is on my all-time-favorites book list. I haven't had the chance to read anything else of hers since then, but the description of Flight Behavior is an eye-catcher. Is it about climate change? Family turmoil? Rural life? There's so much going on, I had to figure out what the angle was here. The short answer to the above questions is that Flight Behavior is about all of those things...together. And rather fluidly, I might add, which is not the easiest thing for an author to do. I mean, how do you have a meaningful, non-polarizing conversation about climate change, in a fiction novel, while still developing a complex cast of characters with a story that interests your readers? It sounds like a weird mash-up, but here, it works. Dellarobia is a fascinating character. At times, I felt like I could identify with aspects of her personality, while at others, I felt like she was opening up a whole new world to me. Her development during the book drives so much of your understanding of the plot as it moves along. For example, it was through Dellarobia that many of the conversations about climate change took place. I especially loved the encounter she had with an activist on her property who was trying to get the locals to sign a pledge, requiring them to do certain things to help the environment: buy CFL bulbs, use Craigslist to buy used items, fly in airplanes less. Things that sound totally sane and do-able to many, but to Dellarobia (who can't afford $5 Christmas presents for her kids, doesn't own a computer, and has never traveled in her life) are impossible or pointless. I'll be the first to admit that I am a huge advocate of doing things like this to reduce climate change, but Dellarobia's perspective opened up a completely different view on the subject. A whole host of issues (especially for those in rural/impoverished areas) that I had never considered. 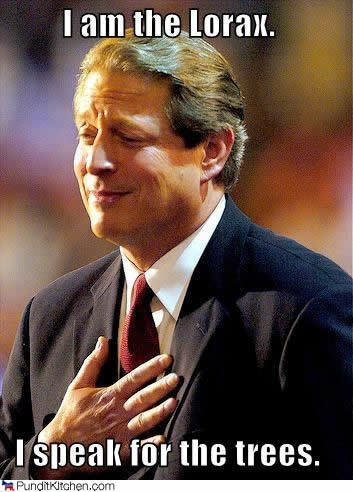 No matter what your feelings about Al Gore, it will be impossible to read Flight Behavior and not see your views on climate change in an entirely new way. This book, though fictional, enriches the discussion on that subject without being politically isolating at all. Beyond all the climate change talk, there is a whole web of complex family relationships going on here. Dellarobia vs herself, Dellarobia vs her mother-in-law, Dellarobia vs her husband...the list goes on. And I adored her relationship with her son, Preston. Dellarobia wants so much for him, but as her worldview becomes broader throughout the novel, her frustrations for his future are palpable. I know I talked about the climate change stuff first, and maybe that was a mistake, because it's not the headline. Kingsolver does an amazing job of tying it seamlessly into the complicated web of Dellarobia's home life. There's a great family story being told here, and if contemporary fiction is your cup of tea, it's worth a read. The last 30 pages or so were especially awesome--left me glued to the book to the very last word. Overall, this is a fantastic novel with loads to say. Your brain will feel heavier after reading (that's a good thing!). It started out a bit slowly ("Where are we going with this?") but about a third of the way through, I was hooked and didn't stop until the end. This is a great book if you're ready for a thinker! Check out the other blogs on this book tour HERE. 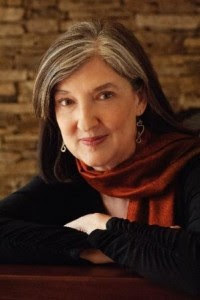 And connect with Barbara Kingsolver on her website and Facebook page. Have you read any good fiction lately that takes on an important social issue? Do you feel like it took over the novel, or did it mesh well with the rest of the story at hand? I haven't read Kingsolver's fiction before (only her non-fiction). I have this one which I won from Armchair BEA, and I'm excited to read it. I have strong feelings on climate change, and it's a topic I <3 so I'm looking forward to this one. OMG you neeeeed to read this if you have strong thoughts on climate change. I can't wait to hear your review! You know I've been meaning to read The Poisonwood Bible for a while, this surely sounds interesting too. Yes, definitely. I'd start with TPB but this one is great too. 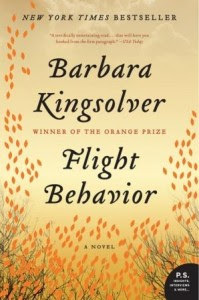 I enjoy a good Kingsolver (well, except The Lacuna which I'm ashamed to have DNF'd.) 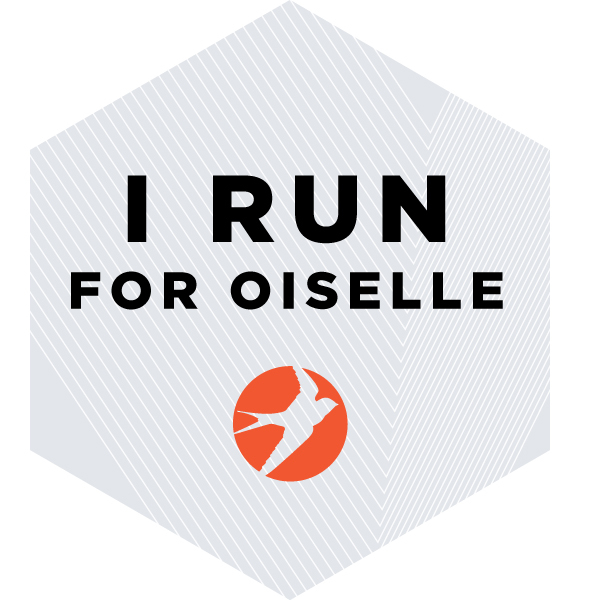 I think I'll have to give this one a shot! I really liked the relationships in this book. Very complex and fairly realistic. Completely agreed!! Dellarobia is such a rich protagonist, which leads to very complex relationships throughout the entire book. You should also pick up The Bean Trees! BK's one of my faves. The Poisonwood Bible is my 2nd favorite book ever! Thanks for the rec! Hadn't heard of that one before. I will check it out. 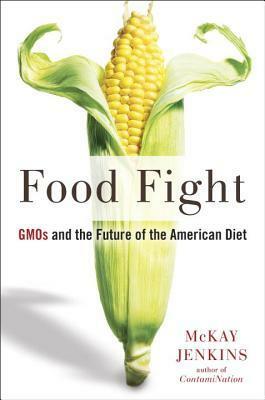 I haven't read a Kingsolver book before (I know, it's horrible! The Poisonwood Bible has been on my TBR forever, but you definitely reminded me why I need to. This one sounds gorgeous. I hope you do get the chance to pick it up and enjoy it! This book sounds fantastic! Another one with a human-impact kind of story line is The World Without Us, but I have yet to read it! I might read this one first - it sounds great! Thanks for the recommendation--I will check that one out as well! I love that this book made you think about things in new ways. I'm really looking forward to reading it myself!